Veteran journalist Duro Onabule dissects Obasanjo’s missive to President Buhari in this piece originally published by NAN..read on.. It was always predictable that, given his notoriety on that score, it was a matter of time for former President Olusegun Obasanjo to resume his pastime of undermining his military and civilian successors, by making President Muhammadu Buhari his latest victim. Amusingly, the rabble Obasanjo rouses on such occasions has dignified his deplorable tactics as a sort of distinction. If only they could critically dissect the man. There is this latent personality complex of striving never to be outshone or exceeded by any Nigerian living or dead. Hence, at the slightest prospect of being threatened, Obasanjo comes charging. ￼Obasanjo’s dismissal of Buhari’s performance is a vivid example. On the alert that African Union was to honour the Nigerian President as the Champion of Anti-Corruption in Africa the following day, Obasanjo came out with his diatribe in the mistaken belief that the great honour for Buhari and, indeed, Nigeria would be diminished if not rubbished by his comments. Unfortunately for him, African Union sustained its honour on Nigeria, much to the credit of Muhammadu Buhari as the President under whose tenure Nigeria became rebranded, to the envy of Obasanjo. Every timing and content of Obasanjo’s verbal assault on his military and civilian successors is noteworthy for exposing Obasanjo’s self-exaggeration and case study in hypocrisy. 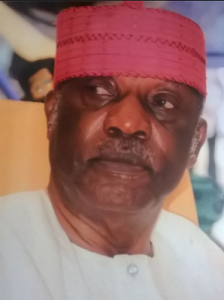 He is on record in some of his books as rating himself above every Nigerian (civilian or military), who ever served at high level – Nnamdi Azikiwe, Obafemi Awolowo, Aminu Kano, Waziri Ibrahim, General Yakubu Gowon, Brigadier Benjamin Adekunle, General Alani Akinrinade, General Alabi Isama, General Buhari, General Ibrahim Babangida (IBB), General Sani Abacha (as military rulers), former Vice President Atiku Abubakar, President Umaru Yar’Adua, President Goodluck Jonathan and, now, President Buhari. General Abdulsalami Abubakar escaped Obasanjo’s bad tongue only because he released him (Obasanjo) from jail and heeded northern Generals who imposed Obasanjo on Nigeria as an elected President. Obasanjo kept off IBB since the day the former military President, in a rejoinder to Obasanjo, openly served him notice that “Henceforth, it will be fire for fire.” Obasanjo got the coded message. Very disturbingly and unknown to Nigerians is the fact that, contrary to the impression that Obasanjo, in his criticisms, is motivated by public service or altruism, he goes to town specifically when he fails to run the show from outside for an incumbent head of government or get appointments for his cronies. Former President Jonathan conceded, almost virtual running of his government to Obasanjo up to the time a memo written by Obasanjo recommending removal of six appointees from federal boards, to be replaced by six of his cronies, got leaked to Nigerian Tribune newspaper. Obasanjo initially denied authorship of the memo. Somehow, Nigeria Police foolishly arraigned Nigeria Tribune and its reporter for alleged sedition. Nigerian Tribune then had to republish the memo with Obasanjo’s full signature. That was the end of the matter, as the police had to withdraw the charges till today. In the current anti-Buhari misadventure by Obasanjo, how many Nigerians took notice that, amid the euphoria on Buhari’s victory, Obasanjo, in his arrogance of Mr. Know All, dispatched two volumes of policies President Buhari must implement during his current tenure? Who was elected President of Nigeria in 2015? Buhari or Obasanjo? Obasanjo’s major weakness of feeling superior to everybody is the cause of his running down contemporaries. Apparently, Buhari kept Obasanjo’s policies in the shelf, a derision, which embittered Obasanjo. Hence his frustration. “I said it from the beginning that Buhari is not strong on economy.” Who then displays his Ph.D in Economics? Obasanjo. Here was a man, so arrogant and power-drunk that he openly dismissed the advisers he had just sworn in that as much as they might advise, he, President Obasanjo, was not bound to take their advice. The same man imposing total policy directive on a President yet to be sworn in. The same deplorable tactics by Obasanjo did not work on late President Yar’Adua, not the least because he rejected Obasanjo’s attempt to run the government for him, but he also cancelled Obasanjo’s hurried investment of a whopping half a billion dollars in African Finance Corporation a fortnight before handing over to Yar’Adua. That investment was without the approval of the National Assembly. The late President Yar’Adua also queried an expenditure of $16 billion by Obasanjo’s administration purportedly on power supply with, according to Yar’Adua, “…nothing to show for it.” It is a question of character and hypocrisy. Who ever ran Obasanjo’s administrations for him? Who ever nominated public office holders for Obasanjo throughout his tenure? Who imposed policies on Obasanjo? Indeed, on his first day in office in 1999, Obasanjo expressed thanks to all those who helped him but instantly requested all of them to keep away. If so, why must he aim to run government for others? Former President Obasanjo is the cheapest critic in Nigeria as he merely echoes claims of the innocent public. Obasanjo was not bold enough to specify Lawal Musa Daura (DG, Department of State Services) and Mamman Daura, a veteran journalist, as the major focus of the charge of nepotism against Buhari. Admittedly, Mamman Daura is a nephew, but Lawal Daura (DG, DSS), might just be Buhari’s townsman. Is that, therefore, peculiar to President Buhari or Nigeria or even Africa? What, anyway, was the record under Obasanjo or former President Goodluck Jonathan? During Obasanjo’s tenure, his daughter, Iyabo Obasanjo Bello, was Ogun State commissioner for health. Iyabo was also elected senator from Ogun Central, her father’s constituency. Above all, only the collapse of Obasanjo’s third term agenda cost his daughter the governorship of Ogun State for which she specially formed the Iyaniwura Foundation. Most remarkably, Obasanjo removed the serving Director-General of DSS to make way for Ogun State and fellow Egba, Colonel Kayode Are (retd). Obasanjo, therefore, owes Nigerians the difference between him and President Buhari, a task which should have been performed the very minute today’s journalists collected Obasanjo’s infamous letter. Former President Jonathan similarly removed the Director-General of DSS he inherited and replaced him with his South-South fellow indigene, Ita Ekpenyong. Why was there no complaint of nepotism? Much is being made of the influence Mamman Daura wields inside Aso Rock. A nephew of President Buhari? So what? At least, Mamman Daura is a Nigerian, who (whatever his blood ties with Buhari) has a constitutional right to serve in any government of this country. Who did Obasanjo import to wield influence on his administration for eight years? A former Mayor of Atlanta, Georgia in United States. An American inside the innermost chamber of Nigerian government? Would a Nigerian have been ever-privileged to access similar level of governance in the United States? Still, under Obasanjo, a lavish marriage for another American acquaintance was celebrated inside Aso Rock. If such waste of Nigeria’s resources were to take place in Aso Rock for Buhari’s foreign acquaintance today, Obasanjo would have led the criticisms. The allegation of nepotism in today’s politics? Only hypocrites, opportunists, the mischievous and the ignorant feed fat on such meal, all in the fraud of championing public morality. In the United States, seeming nepotism is mere routine for an incumbent President. The 1960 episode of the much-loved John Kennedy appointing his immediate younger brother, Robert Kennedy, as attorney-general may be too far behind. Today, President Donald Trump has around him in the White House wielding great influence daughter, as the special adviser, and son-in-law, Jared Kushner, designated as a special adviser but virtually more powerful on all Middle East matters than Secretary of State, Rex Tillerson. Before making mincemeat of Donald Trump, let it be known that Trump merely followed his predecessors, like Bill Clinton, who appointed his wife, Hilary Clinton, as head of a health review task force. The appointment was legally challenged but the court ruled the appointment was no nepotism. Under President George Bush Junior’s administration, Secretary of State Colin Powell’s son, Michael Powell, was appointed Chairman of Federal Electoral Commission. Nepotism? Obasanjo and co-travellers should read Adam Bellow’s book, In Praise of Nepotism Presidency. A major achievement of President Buhari is that he has restored civility and harmony to the Presidency, such that Vice President Yemi Osinbajo, himself a loyal and contented human being, was publicly appreciated by Buhari as “my brother.” Nigerians have not been treated to the crude illegality of manipulation of the Constitution in a futile attempt to humiliate an innocent man out of office. Obasanjo made allegation of financial crime of round tripping against unspecified members of Buhari’s administration. That can’t be true. If, however, he has the facts, Obasanjo has the duty to convey such to the EFCC Chairman. Should Buhari contest in 2019? That is his personal decision. Elections, as well as the performances of a leader all over the world, are determined by the electorate, who, in Nigeria’s case, run into multiple scores of millions. One man, in his arrogance, must not be allowed to appropriate such voting power to himself. Elections are either won or lost. When a man, who, towards the end of an eight-year term, plotted to rule for life (a treasonous offence) now arrogates to himself the moral of determining the political fate of a fellow citizen, we shouldn’t take him seriously. Buhari or Jonathan? There is no regret for Jonathan’s exit, in view of scandalous revelations. I endorsed Buhari since 2002 for the yeoman’s job, which he commenced less than three years ago. I am satisfied. Previous article Fashola, Nigeria cannot be great in darkness. 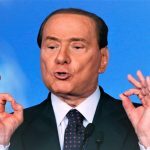 Next article Berlusconi’s manifesto is to deport Nigerians, other immigrants. Fashola, Nigeria cannot be great in darkness.